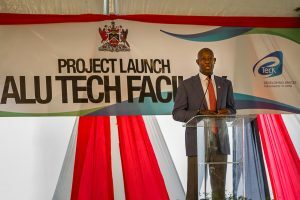 On Wednesday 3rd October, 2018, the Ministry of Trade and Industry and Evolving TecKnologies and Enterprise Development Company Limited (e TecK) were proud hosts to Dr. the Honourable Keith Rowley, the Prime Minister of the Republic of Trinidad and Tobago at the relaunch of the Alutech Project at Tamana InTech Park. Prime Minster Dr. Keith Rowley delivered the feature address at the event, other speakers on the programme included Mr. Imtiaz Ahamad, Chairman, e TecK; Professor Kenneth Julien, Chairman of Alutech; Dr. Alfredo Riviere, President of Sural; Senator the Honourable Franklin Khan, Minister of Energy and Energy Affairs and Senator the Honourable Paula Gopee-Scoon, the Minister of Trade and Industry. In his welcome address, Mr. Ahamad said, “e TecK takes very seriously its role in developing and managing new economic zones for the establishment and growth of non-energy businesses which support the government’s overall strategy of diversification of the national economy. The Tamana InTech Park Project, which began in 2005 was envisioned to be the center for innovation and technology, and foster entrepreneurship which would act as a catalyst for this long sought after diversification. The Alutech project can claim its place at Tamana InTech Park. The plant is aligned to one of the objectives of the Park, to develop the high value manufacturing sector. 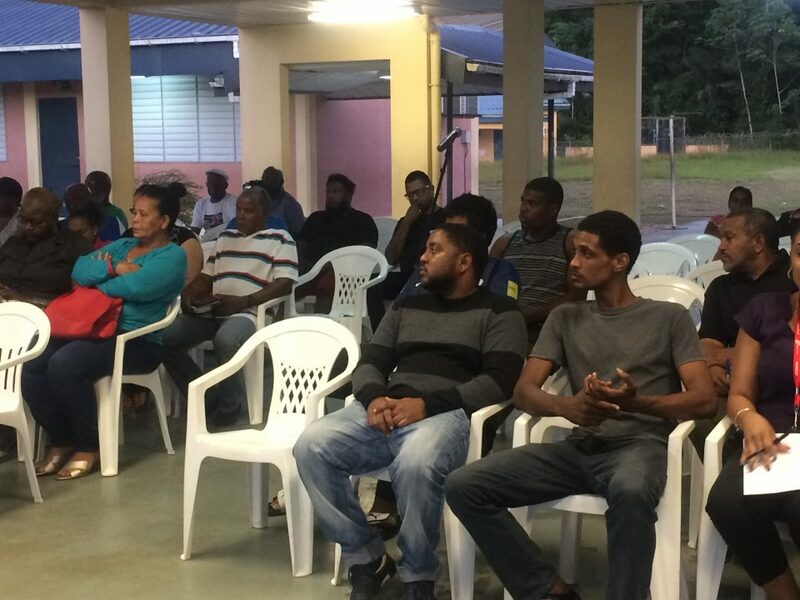 It will be a catalyst for new technology that has the potential to revolutionize downstream aluminum production, and will make Trinidad & Tobago more competitive.” Professor Julien stressed that Trinidad and Trinidad and Tobago was seen as the preferred location for locating the Alutech facility due to its well-developed infrastructure, strategic geographic location, competitive input prices and availability of human resources with strong experience in process industries. He also spoke to the potential for further investments from well-established companies that will pursue high-value manufacturing activities, bringing high quality employment opportunities, opportunities for downstream manufacturing by small and medium-sized enterprises, and improved foreign exchange earning capability. Senator the Honourable Franklyn Khan said that the Government initiated action to establish an aluminum downstream industry based on imported aluminum ingots and utilization of our energy resources and that there were three aluminum downstream projects one of which was the Alutech Project which will be a significant generator of foreign exchange. The project is estimated to generate USD 1.2 billion in export earnings over the next 20 years. The investment represents the use of superior and energy friendly technologies to create a competitive advantage over other globally competitive manufacturers, but by preserving a low carbon footprint. 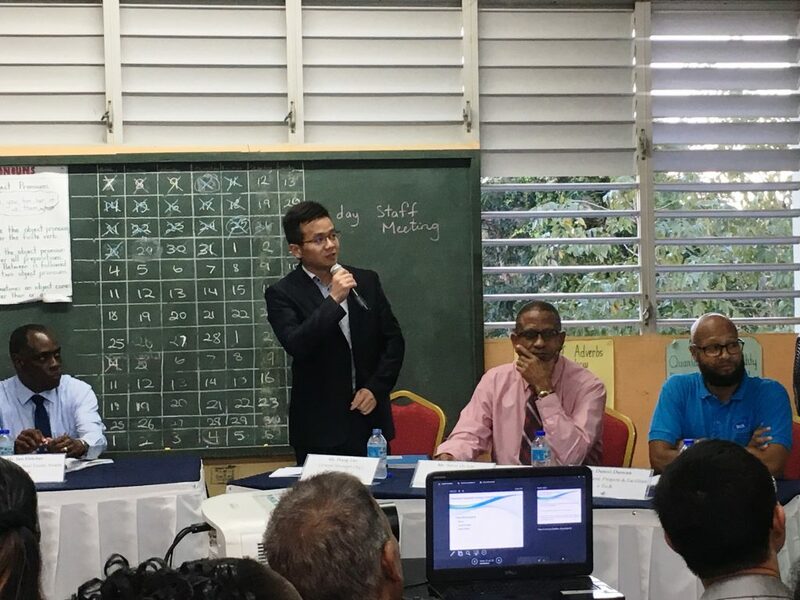 The investment will facilitate other spin offs and create an ecosystem where small and medium size industries could thrive to produce more value added aluminum-based goods. 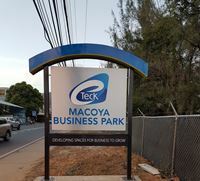 He further added “the facility will be housed in a 70,000 square foot building which will be constructed and owned by e TecK at Tamana InTech Park and leased to Alutech .The Plant is expected to be operation in 18 months. It will produce up to 400,000 (light vehicle and forged truck) wheels at full capacity as well as alloy billets for export. The plant will use an estimated 15,000 tonnes per year of imported aluminum ingots for its production, which are widely available and competitively priced on the global market. 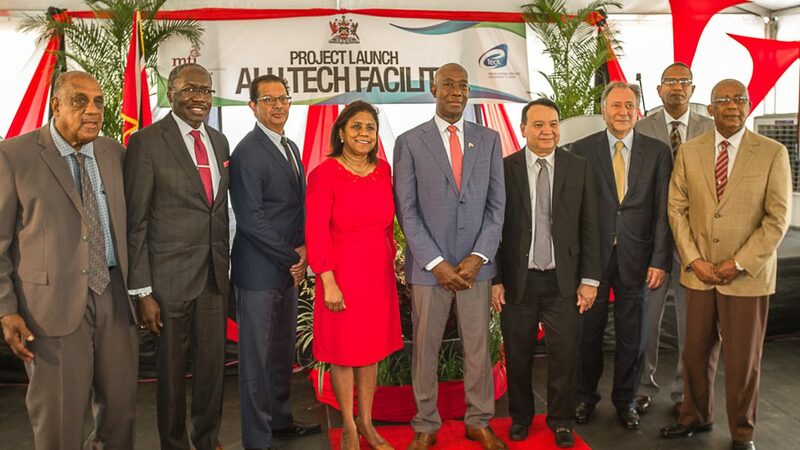 Minister Gopee-Scoon also spoke to the fact that the Alutech Facility will be a catalyst for the development of new technology with the potential to revolutionize downstream aluminum production, and thereby enhance Trinidad and Tobago’s competitiveness in this industry. The Alutech Facility will be the first of its kind in the Caribbean with robots playing key roles in the manufacture of pressed aluminum coils, billets and wheel rims and will be using technology used for the industrial production of cast aluminum products include wheel rims and automotive parts , allows for minimum waste and a high degree of precision using highly calibrated and automated machinery. Through the patented Sural Advanced neo Globular Structure (SANGS) method, pure aluminum is smelted and then processed by various machines along a mechanised line and aluminium wheel rims are produced. 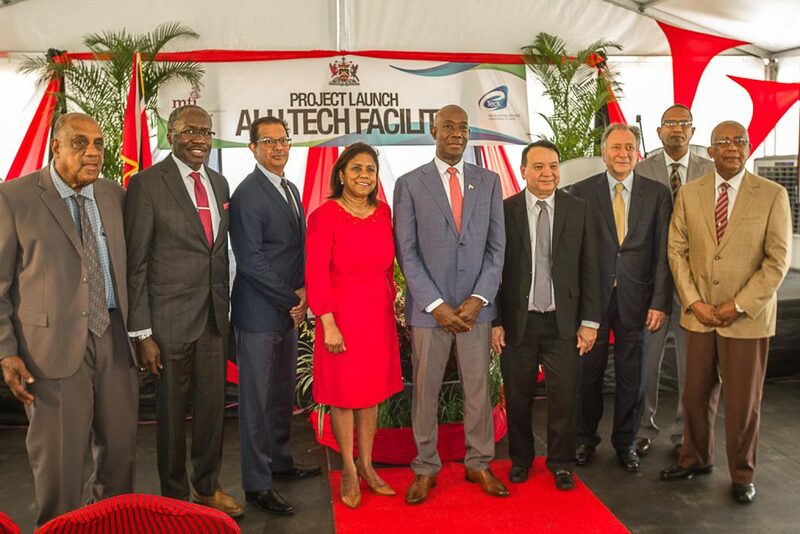 Prime Minister Rowley told the audience of dignitaries, businesses and community groups that in 18 months’ time Trinidad and Tobago will join purchasers who buy raw aluminum ingot, bring it to the factory in T&T and start manufacturing to supply an area of growth and demand by making aluminum car wheels for the transport industry, mainly for markets in Central and South America.